Thread: New to me Springfield Loaded,Stainless Made in 2003. I went to a Gun Show with a friend Sunday, and on the way back we stopped at a pawn shop. They had a Springfield Stainless Loaded in very good condition. It has been used lightly but not abused. No box or paperwork, Two mags and a nylon bag to keep it in. It was made in 2003. Very little wear, and a very light Idiot Scratch that I think will buff out. The only thing I can see that it needs is to change out the safety, It has an Ambi safety, and I don't need one. All the grips that I have are not cut for the Ambi, and some of them I don't want to go cutting on. I checked Brownells, and Midway, And all they seemed to have were 80-90 dollars. 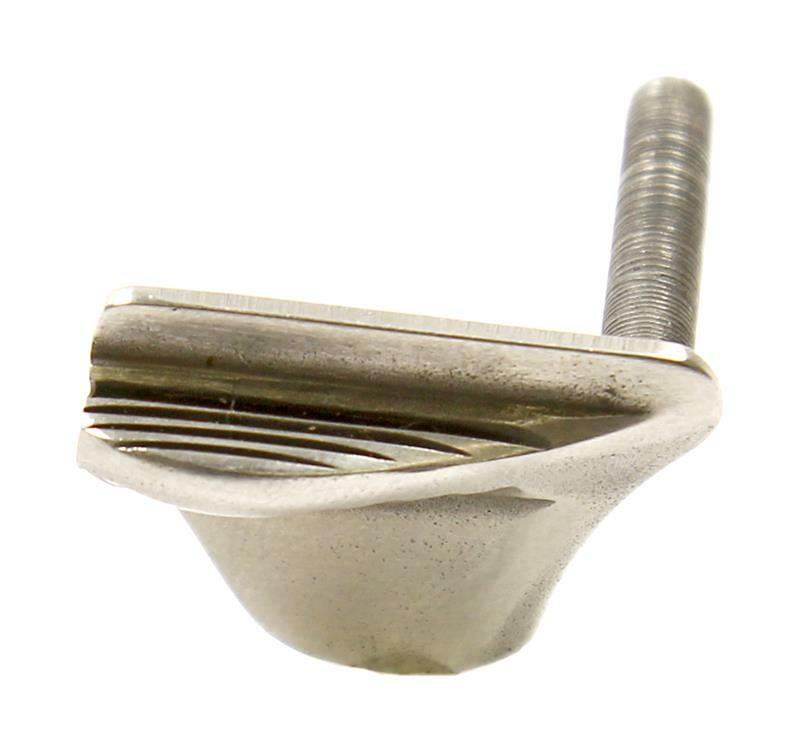 So I thought I would ask on here if someone might have a Thumb Safety off a stainless Mill-Spec they would sell or trade for an Ambi Safety. Have you contacted Springfield? I know that there are certain parts (like sears and hammers) that they will not sell, but they do make the blue Mil-Spec thumb safety available indiscriminately (through Brownells, for example, $31). Perhaps they will sell you the stainless version? Yes I called Springfield, and Brownells, yesterday, no luck. That is why I came on here, with hopes someone might want to put an ambi safety on a Mil-Spec. Or have one on the shelf. I am looking for Stainless. When searching the Brownells page, remember that a picture showing a product in blue, when pressed might reveal that they sell this AND a stainless version, as well. And I can't find Hawkmoon's $12.99 safety by running a search, so there might be more of them. Also, please note that finding someone to give you a single-side safety that works in their Springfield, to swap for yours (as a straight swap for both your guns) isn't just difficult, it's also a bit risky: a safety that has already been fitted to a 1911 (of any make) will likely not fit another 1911, even one of the same brand. In this case, one of you will probably be able to use the other's safety with little or no fitting, while the other would likely find that the safety has been filed a bit too much and is unusable without changing other fire control parts (hammer, sear) -- or without some welding. You might both get lucky and find that both safeties are 'just so' in both frames... but it's not the most likely scenario here. Guess I'll go back to looking for a new one that has not been fitted to another pistol. Thanks Guys, after Spyros reply, I remembered I'm dealing with a 1911, not a Glock. 1911s have to have parts fitted to each pistol. I have been dealing with Glocks too long. My Rock Island was working fine, and so was my Springfield. They just sat in the safe, and came out once in a while to shoot. After I sold them, I just forgot about them. Now I have replaced The Rock, and the springer and have to get my mindset back to working also. I must've bought it's twin off Gunbroker, only mine was made in 2004. Sounds identical, down to the idiot scratch! Gotta try the buffer pad on my Dremel, and see how that works. Then again, it saved ME having to put the scratch on it! Pics to follow. BTW - you can pick up VZ grips UNDER $40 all day long off E-Bay. NiB, no less.